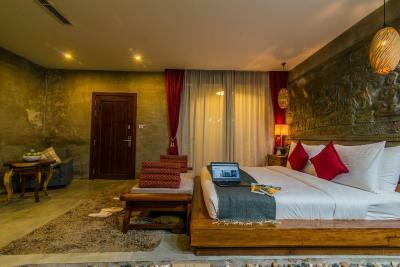 Lock in a great price for Cambana d'Angkor Suites – rated 9.4 by recent guests! The place has a great and helpful staff. Sometimes, the heavy accent can be hard to understand, but you just have to be patient. 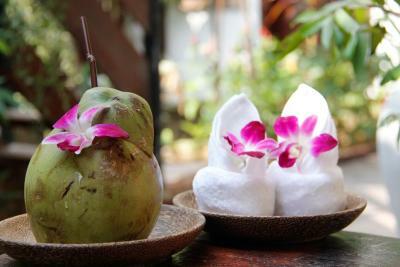 They are very helpful with booking massage appointments, Angkor wat tours, and even tuk tuk rides. 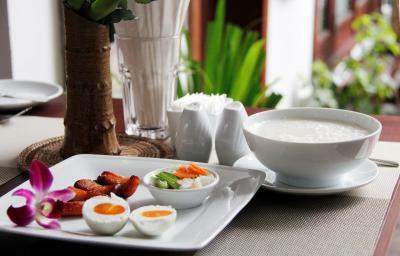 We didn’t even ask, and they made use breakfast for our Angkor wat sunrise tour. The breakfast is amazing and on the last day, we were greeted by a friendly turtle who was walking around in their nearby water garden. The pool is nicer than the pictures, but, unfortunately, we were too busy to use it more than one time. 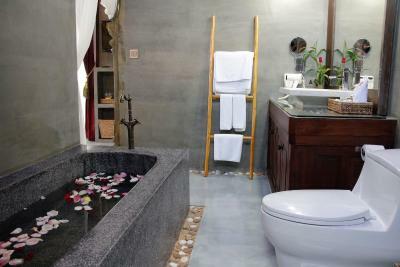 The bath is nicely presented with flowers on your first visit. You should be very kind to your staff because they obviously work hard. Overall, it was a nice hotel. 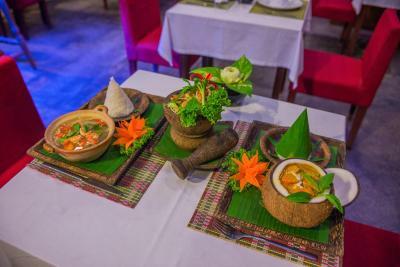 We treated ourselves to a 3 day visit to Siem Riep and were not disappointed with the welcome and the service provided here. We particularly enjoyed the Tuk-Tuk service provided by Mr Friendly, and the breakfast every morning was outstanding. Highly recommend this hotel to all. Everything. It was perfect for a one night stay at the end of our trip. 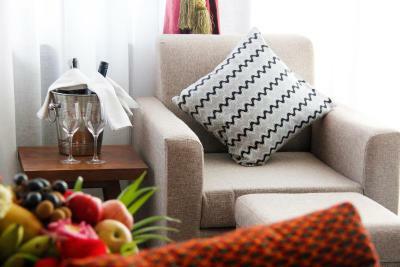 The staff were friendly, helpful and made it a memorable stay. 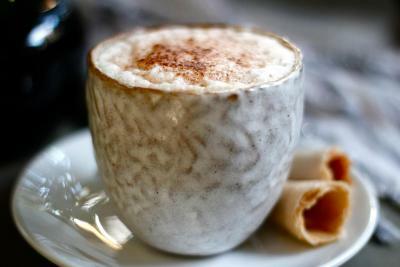 The hotel was located near to a supermarket and other coffee shops and restaurants. It was a short walk (dependent on how fit you are) to the night market and national museum. 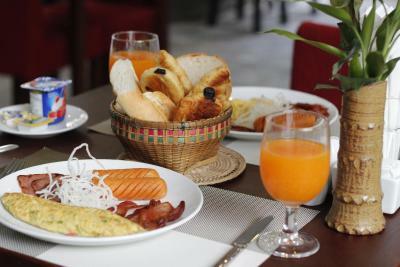 Breakfast was very tasty and good quality including the freshly made coffee. 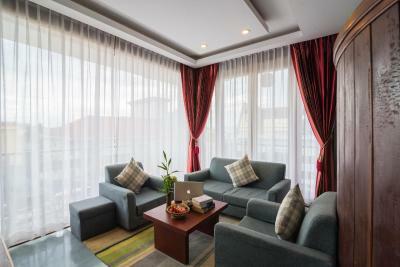 The rooms were clean and the wifi relatively fast in comparison to other hotels including London. 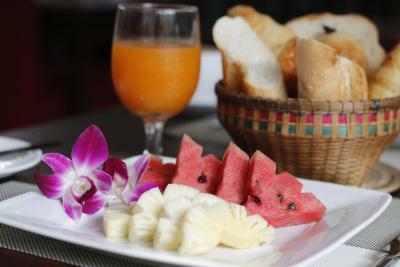 Daily fruit and water, coffee available in the room (instant). Bed very comfortable. I loved staying here! 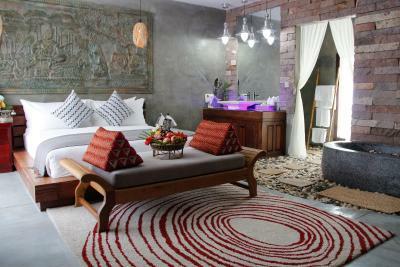 The staff was wonderful and the room was more than I expected. I would totally stay here again. So happy to not be at an oversized tourist hotel. This was my 4th stay and the staff remembered me and were pleased that I had re booked making me feel extremely welcome. 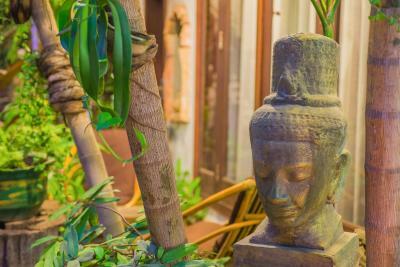 A wonderful haven to relax and recharge in Siem Reap. Love this place. Hospitality best in thr world. They really look after you. 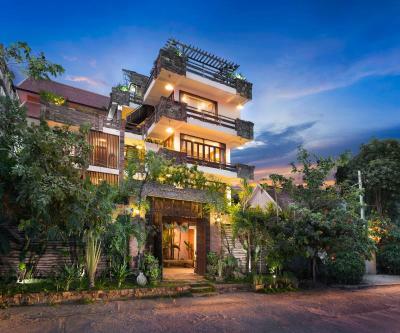 Cambana d'Angkor Suites This rating is a reflection of how the property compares to the industry standard when it comes to price, facilities and services available. It's based on a self-evaluation by the property. Use this rating to help choose your stay! 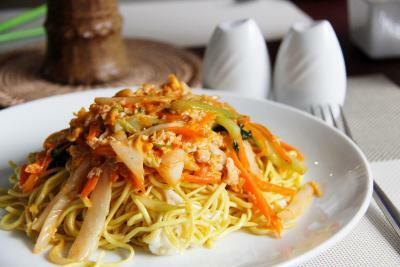 One of our best sellers in Siem Reap! 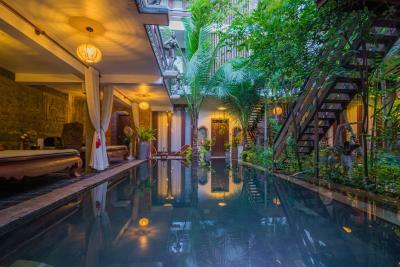 Housing a restaurant with views of the outdoor pool, Cambana d'Angkor Suites offers peaceful and elegant accommodations with free WiFi access throughout the property. 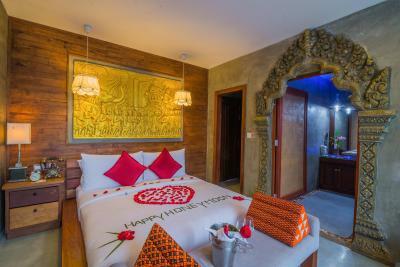 It is conveniently 0.6 mi from Angkor National Museum and 0.9 mi from Pub Street. 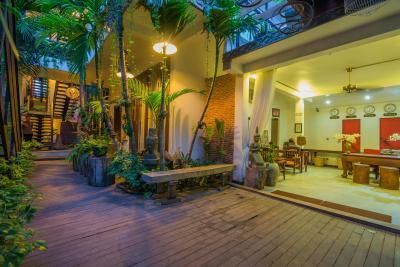 The property offers free airport pick-up. 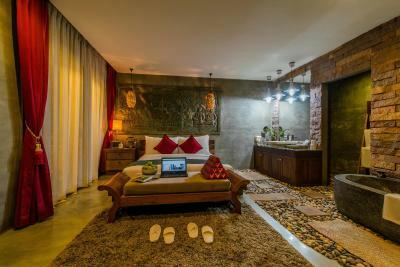 With a blend of Cambodian and French traditional-styled furnishings, air-conditioned rooms come with a wardrobe, in-room safe, a flat-screen satellite/cable TV, mini-bar and electric kettle. 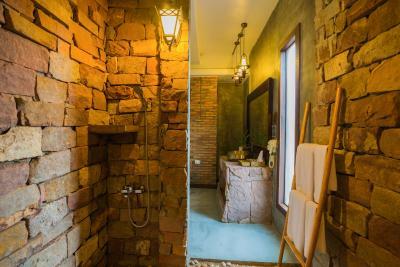 The private bathroom includes a separate shower facility and hot tub, hairdryer and free toiletries. 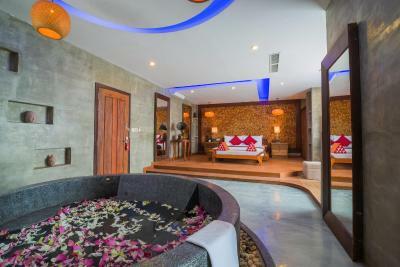 At Cambana d'Angkor Suites, guests can enjoy a relaxing massage at the spa. 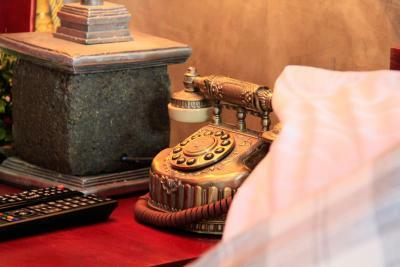 Operating a 24-hour front desk, the friendly staff can assist with laundry services, bicycle/car rentals and tour arrangements. Tour arrangements are available at the hospility desk. 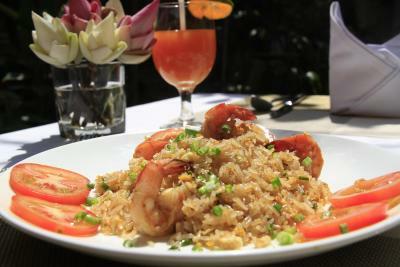 The in-house restaurant serves a delectable spread of local and Western cuisine. 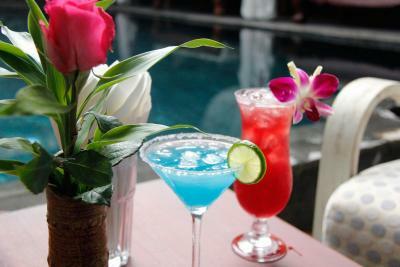 Special diet dishes can also be prepared upon request, while after-meal drinks are offered at the bar. ATM/cash machines are located just next door to the property. 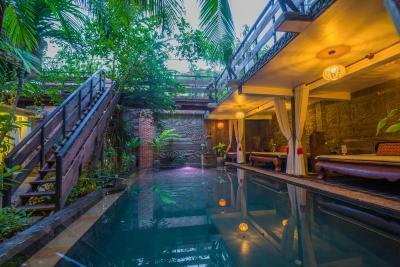 Located just a 5-minute drive from downtown, the property is 5 mi from the UNESCO World Heritage Site of Angkor Wat. Siem Reap International Airport is 3.7 mi away. 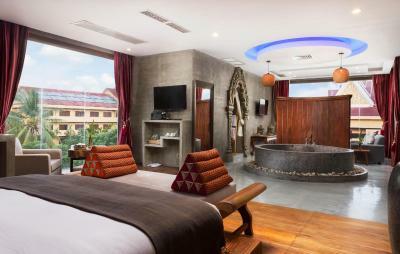 When would you like to stay at Cambana d'Angkor Suites? This suite has a balcony, electric kettle and cable TV. 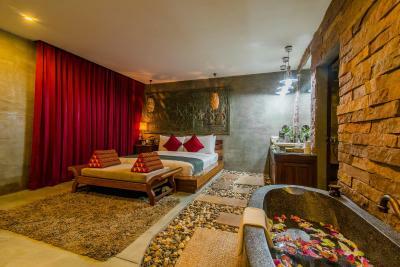 This suite features a balcony, satellite TV and electric kettle. House Rules Cambana d'Angkor Suites takes special requests – add in the next step! 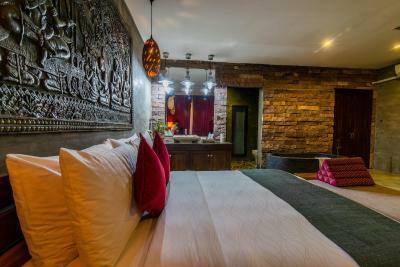 Cambana d&#39;Angkor Suites accepts these cards and reserves the right to temporarily hold an amount prior to arrival. 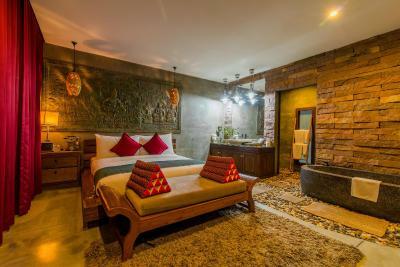 Cambana d'Angkor Suites accepts these cards and reserves the right to temporarily hold an amount prior to arrival. Please note that the property offers complimentary airport pickup services by tuk-tuk (subject to availability). 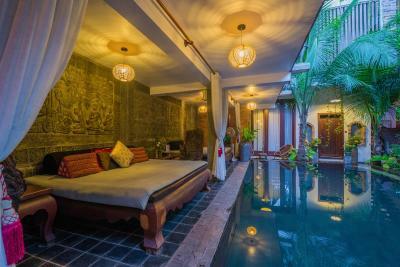 Guests are required to provide arrival details at least 2 days in advance using the Special Requests box available or contact the property directly with details in the Booking Confirmation. Please note that pickup services runs from 06:00 to 21:30. Timings later than 21:30 are subject to additional charges. 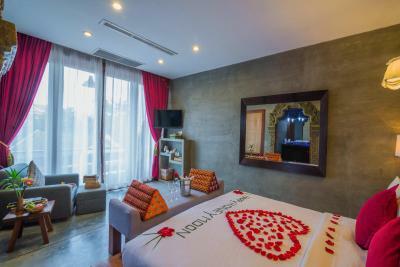 Please inform Cambana d'Angkor Suites of your expected arrival time in advance. You can use the Special Requests box when booking, or contact the property directly using the contact details in your confirmation. 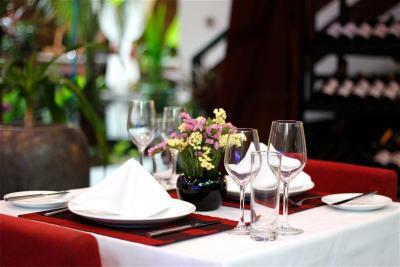 Everything from the food to the staff, the room to the restaurant. A little home from home and an oasis waiting behind the door. The toilets didnt have a jet. No elevators. The cleanliness was not for 4 Stars Hotel. Mostly the Bathroom and the bed. The room was big enough end good decorated. The reception service was very good. The staff there were really helpful. Love the convenience too, there was a supermarket just across the road where we could get souvenirs there. The food at the restaurant was awesome too. We could typically stay at the accommodation the whole day. They provide massage in the room or by the pool at 15USD for an hour. 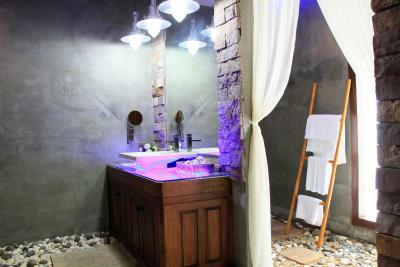 They recommended us to go to Sokhkak Spa too, which was awesome, we went there for massage twice for 2 consecutive days. There is free tuk tuk service to Pub Street from 4-8pm. They were super accommodating when we ask for late check out, as our flight is in the late afternoon. The service was impeccable, I felt welcomed and well taken care of since the beginning until the very last minute. I would return for their wonderful hospitality. Plus the beautiful and exclusive rooms, I feel right at home. The atmosphere and people there made it unforgettable and I was totally spoiled. 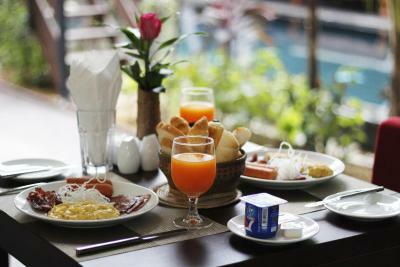 Thank you to all the kind staffs there, wonderful breakfast every morning and prompt service, they'll go out of their way to help always! Hoping to return again one day, I miss it already. Everything. The Staff in particular were wonderful. If I would suggest one thing, it would be to find a way to keep mosquitoes out. I just took the raid that was in the room and sprayed it around the edges of the doors. I think the bottom of the bathtub could be a little cleaner. We cannot recommend this hotel highly enough! During our honeymoon we stayed here for a week and everything was absolutely perfect, from the beautiful hotel, the amazing staff and the wonderful breakfast. We will be back soon! 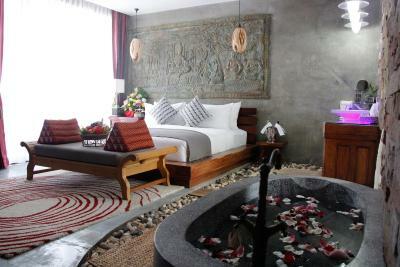 The hotel is really amazing, very nice decoration, the bed is so comfortable and very nice and clean room. 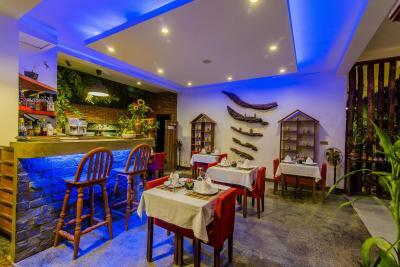 The staff is always available and helping you to organize your days in Siem Reap, I really recommend you this hotel if you want to desconect and rest those days after visiting Siem Reap. 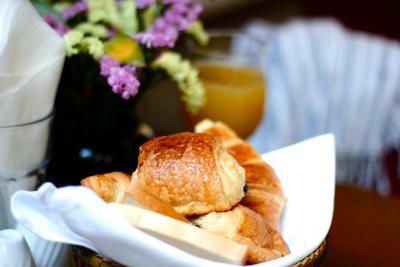 Kind and helpful staff, nicely decorated and comfortable room, good breakfast. The hotel is a little way out of town, but this is offset by the complimentary offering of a free Tuk-Tuk ride, which in itself is a great experience. 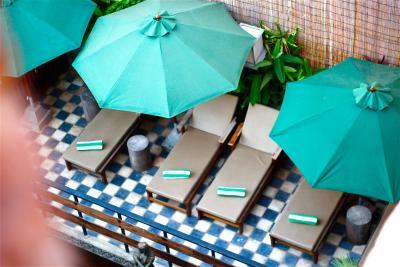 Excellent Boutique type hotel with a nice pool area and Dining/Bar Area. We enjoyed a week in the Royal Suite which is the best room in the hotel but talking to other guests all the rooms are of a good standard. Best of all though was the quality of the staff all of which went out of their way to ensure we had a great stay. 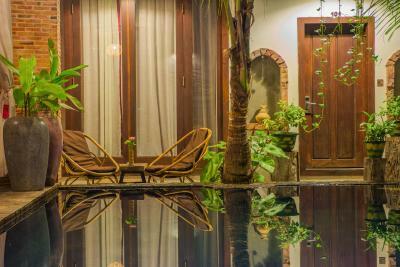 Would highly recommend this as a great place to stay when visiting Siem Reap. Very good hotel, I highly recommend Mr Friendly our tuk-tuk! 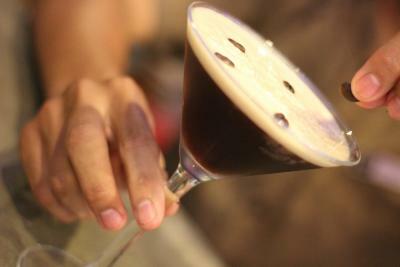 Thanks to him we enjoyed and we discovered Siem Reap. It was amazing!